View Russia Visa Application Centre, Trabzon, Turkey phone number, email, address, working hours, website. View Russia Visa Application Centre, Dubai, UAE phone number, email, address, working hours, website. View Russia Visa Application Centre, London, UK phone number, email, address, working hours, website. View Russia Visa Application Centre, Edinburgh, UK phone number, email, address, working hours, website. View Russia Visa Application Centre, Manchester , UK phone number, email, address, working hours, website. 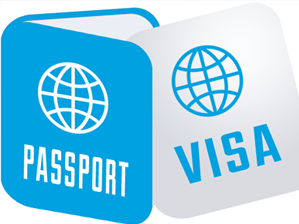 View Russia Visa Application Centre, Ijstanbul, Turkey phone number, email, address, working hours, website. View Russia Visa Application Centre, Antalya, Turkey phone number, email, address, working hours, website. View Russia Visa Application Centre, Ankara, Turkey phone number, email, address, working hours, website. View Russia Visa Application Centre, Seoul, South Korea phone number, email, address, working hours, website. View Russia Visa Application Centre, Bucharest, Romania phone number, email, address, working hours, website.